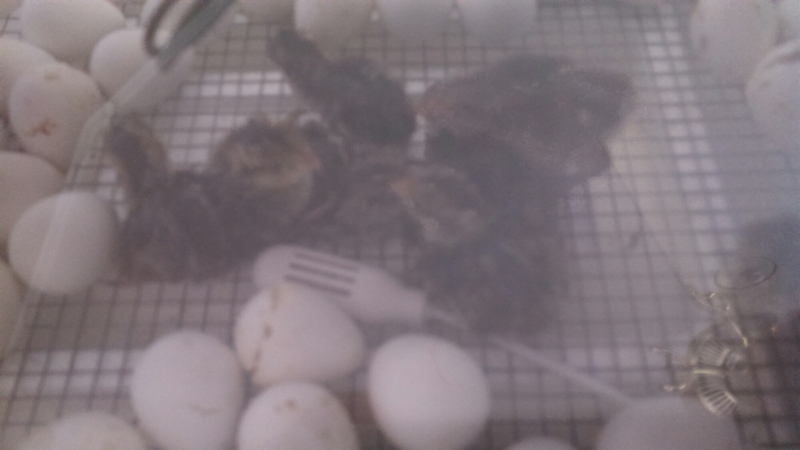 Well, the 80+ bobwhite quail eggs that i set a few days ago are starting to hatch. So far, I got 10 of them out. I also have 8 khaki Campbell ducklings that have hatched already too. Not a bad run from an incubator that kept overheating.